This morning started with our second lecture of the week (followed by our first practice of the week) in internal medicine. The topic of the lecture was Nuclear Methods in Medical Diagnosis. It was a bit of a heavy topic for 8:00 a.m. and brought back a lot of memories from biophysics (which we took during first year). The topic is a bit out of place…we’re not really in a place in our education where we can truly understand the applications and we won’t be tested on it, but I guess it’s good to get our feet wet. After lecture the ten of us that had attended headed immediately over to change into our white coats for the practical. Today was the first day that we didn’t see any patients. Instead, our doctor sat us down and did a detailed run-through of how the exam will be and how to properly fill out a Hungarian medical chart. There is a lot to remember – and that is just on the medical side. Having to do it in Hungarian is something else entirely. Our doctor said we will be paired with a patient whose information our examiner knows intimately. We will then be left with the patient and have to do a full exam and fill out the chart. Once we are done, the doctor will review the chart and see how well we did. Our doctor is probably the most strict doctor (at least from what we’ve heard) so I am really happy we won’t be having him on our exam. He kept mentioning things that are an “easy fail”. Because this is all common sense, right? He is not so much a stickler about the medical part (he knows we are too inexperienced to properly diagnose a murmur) as he is about the Hungarian. He believes very strongly that without Hungarian, we can’t learn internal medicine. These are the scribbles I managed to get down during the practice, just to give an idea of what we need to know and focus on. I ended up skipping this afternoon’s lecture for microbio in order to go home….and study microbio. We have our midterm in two weeks from Thursday and I’m considering taking it as one of my first exams this exam period. The lecture falls in a block of about 4 hours and I decided that I would get more out of that time by studying at home. I’ll of course have to make up the lecture later – all in due time! 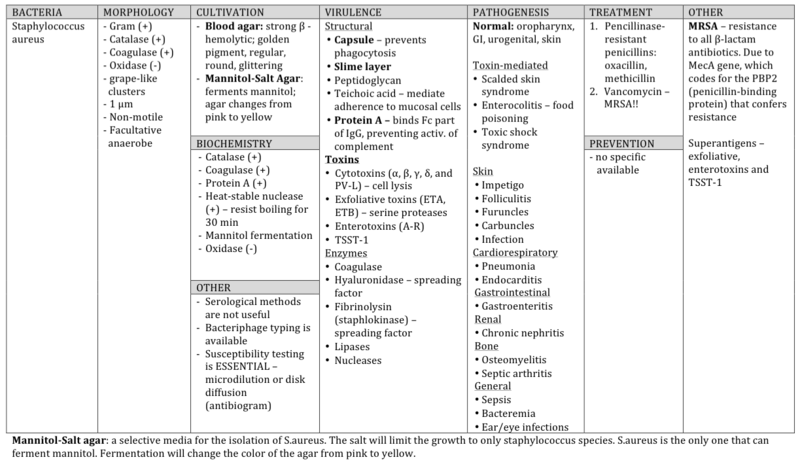 For this micro midterm, we have to know about 25 bacteria. After today, I’ve studied all but two, but will need time to review and commit to memory. To study each bacteria I’ve been watching SketchyMicro videos, reviewing notes written by a teacher in the department, reviewing the slides from our practicals, reviewing lecture slides and finally, reading in the textbook. No wonder it takes me so many hours to cover one bacteria! 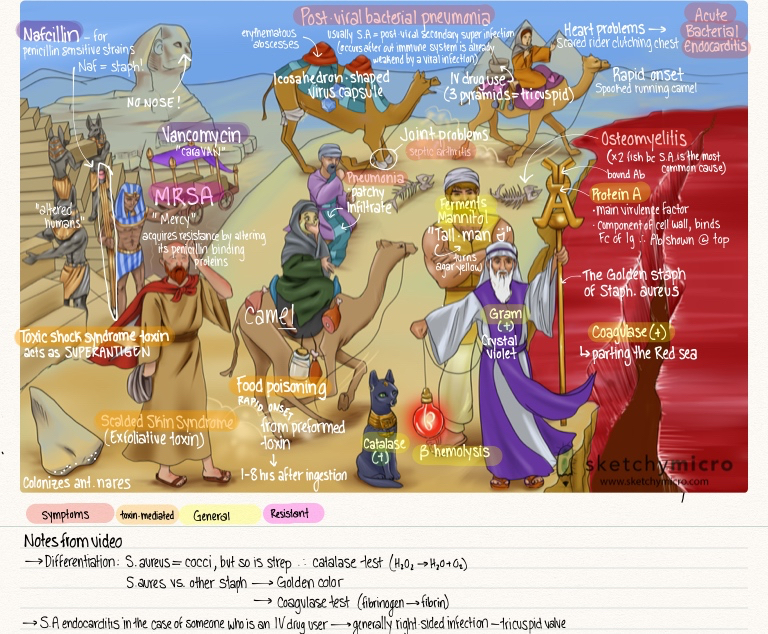 SketchyMicro is a great tool for visual learners. They create a picture with a bunch of memory stimulating components specific to the bacteria. I save a copy of the image on my iPad and then add in the notes as I watch the video. 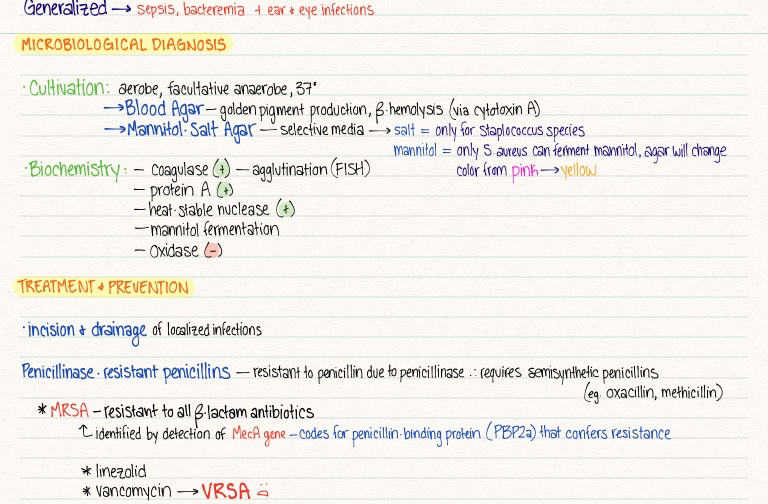 This is what I have for the bacteria Staphylococcus Aureus. It’s a big one, so there is a lot more information for this one that others. I’ve allowed this semester to consume me (and take my sanity hostage) and now I need to actively work to get it back. It’s not like I’ve gone crazy, or that you would even notice that I am where I am mentally, but inside my head, when I am at home studying, it’s a mess. This past week I have been pushing myself especially hard, which means studying until I physically can’t anymore (when everything hurts and I can’t see straight) and getting up earlier than I should. It never works. It just leads to hysterical burn-outs. On Thursday I was a total zombie by noon and feeling the initial symptoms of Skjalg’s cold. So, I took the rest of the day off (my day was supposed to go until 21:00) and went home to not study. That night, I told Skjalg that I need more routine. We’ve slowly slipped away from going to bed at 22:00 and waking up at 6:00. I’ve gone completely off the radar on that one, Skjalg is a little more regimented. I also suggested that I study in the guest room, which has been more or less Skjalg’s man-cave since we moved here. He’s been spending more time studying out in the living room and since the space is not a familiar space to me, it might be a good spot for me to get quality studying done. Our apartment has also taken Murphy’s law to a new level – and it is impossible to relax in that kind of chaos. Yesterday I spent the day studying at the Parliament library with my friends Hanna (who is actually a childhood friend of my friend Stian, from Oslo, and in 5th year), Suvi and Synnøve. 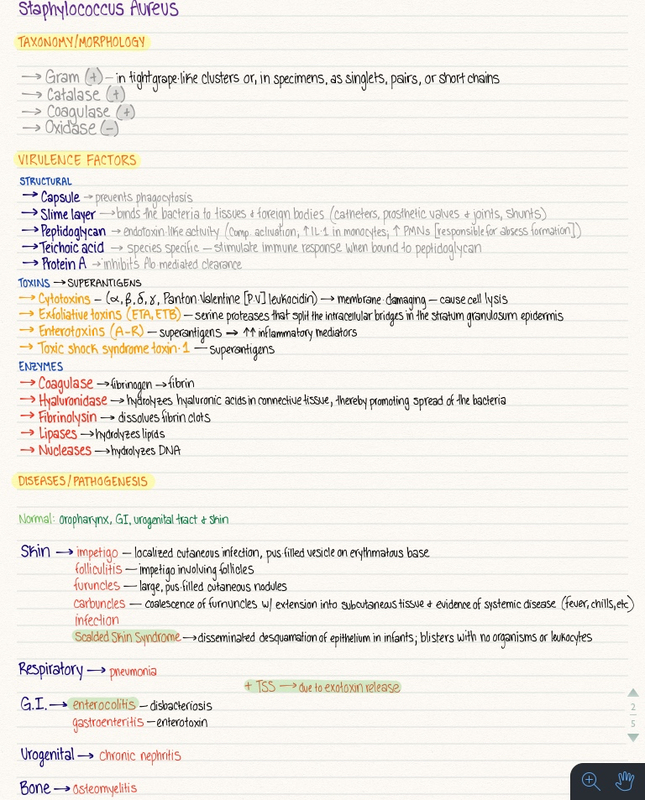 Our second microbiology midterm is coming up soon and it is going to be a big one. While studying at a café a couple of weeks ago, Amir and I formed a microbio “support club” to help us get going. We have been doing 1-2 topics from the topic list every day and then text-test each other in the mornings. I’ve been spending so much time on those topics that all the other subjects have kind of been pushed to the side. 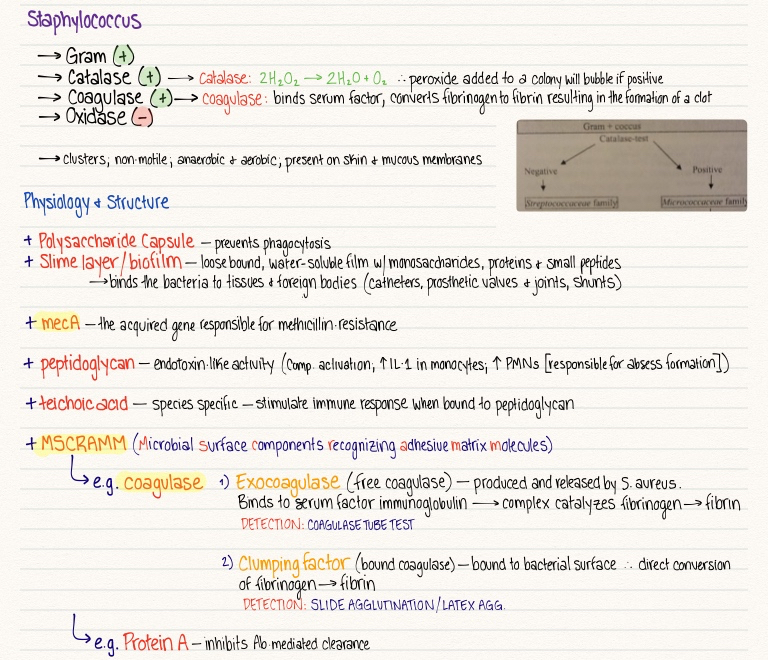 So yesterday was all immuno! We had our midterm in immuno a couple of weeks ago (I think during week 8) and I might be eligible for the competition. It depends on how they set up the qualification. I got 31/40, so if they take the top 70/75% then I’m in! We have 6 exams this exam period and it would be so nice to get one out of the way ahead of time. But with each victory, our goalposts of success keep getting pushed further and further out, so that happiness gets pushed over the horizon. They felt overwhelmed by ever small setback instead of energized by the possibilities in front of them. Only five pages of that book was enough to ground me (that plus a clean apartment, amazing boyfriend and productive study day). It is so easy to get caught up in the stress of the moment, in the fear of failure and in general insecurity, that I forget how hard I’ve worked to get here. Where I am now is where I have wanted to be my entire life. It’s hard because I want challenge. And happiness needs to be part of the journey. I am happy and I still take time each day to appreciate my environment – the falling leaves, the barbecue and hot wine smell from the winter market, the gorgeous winter sunrises – but it takes work to remember. I receieved two comments on my last post, one from my wise Grandpa and one from Aswini, a doctor in India, and they both meant a lot to me to read. It is always inspiring to hear from people who are similar to you and who have traveled the path before you. Their experiences yield great insight and can help direct you towards the right path. This is actually the first ever post written from my phone and I’m writing it as I lie in bed (“trying” to sleep). I’m writing in an attempt to clear my mind from the chaos that resides there. I’m so stimulated during the day that I’ve actually started “fearing” bedtime. Without some bacteria or disease to keep my brain busy, it starts to wander. I lay in the darkness and try to bat away all the thoughts and stresses I’ve pushed aside during the day, but they’re becoming too overwhelming. I need sleep to function, but function too much to sleep – what kind of conundrum is that? The biggest issue I have right now is efficiency. I’m spending way too much time on single topics and going way too into detail. I just don’t know when to stop! I want to know everything. If it’s in the book, I feel like I should know it. I have such a hard time knowing what information to leave behind and what to focus on – and I feel like that is what I need to do to survive this. I gave myself time limits for some of my tasks today. I did the first two in time, but the third, well, I had planned 1.5 hours and I only got 1/3 done in almost 4 hours! I only have 5 or 6 hours to study when I get home from school so something needs to change. On that note, I’m off to search for some positive thoughts to lull me to sleep. I love studying medicine. I’m so lucky to get to learn the things we are learning. I should be proud of having come as far as I have and that I am able to understand the books I read everyday. This is exactly where I want to be. I don’t want to be anywhere else. I’m lucky to be here. One day, I’m going to be a doctor. And that will be the best day ever! You are currently viewing the archives for November, 2014 at Buda-B.